This year, Sundown fell on the month of May, the month when I lost my beloved dad. 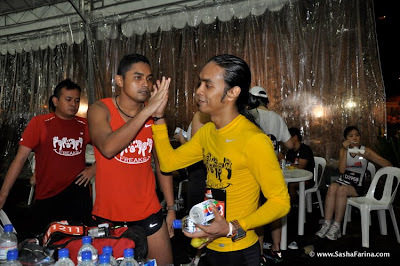 This was the very strong reason as to why I desired to do well for the run. I decided to dedicate this event to him, and relayed the news to the Freedom Freaks. I am fortunate to have their never ending support, guidance and beliefs in me. This gave me the hope and aspiration to complete the race with a new PB. The Freaks had a chat few days before the race, and one of them predicted that I could do it in 4hr 30mins. With that in mind, I did some calculation and decided on the pace that I should be maintaining to achieve that desired target. The day came. I consistently told myself not to walk too much, keep up with the pace, have the target in mind, and to just run against all odds, beat the bad cramps and the tiredness in me. 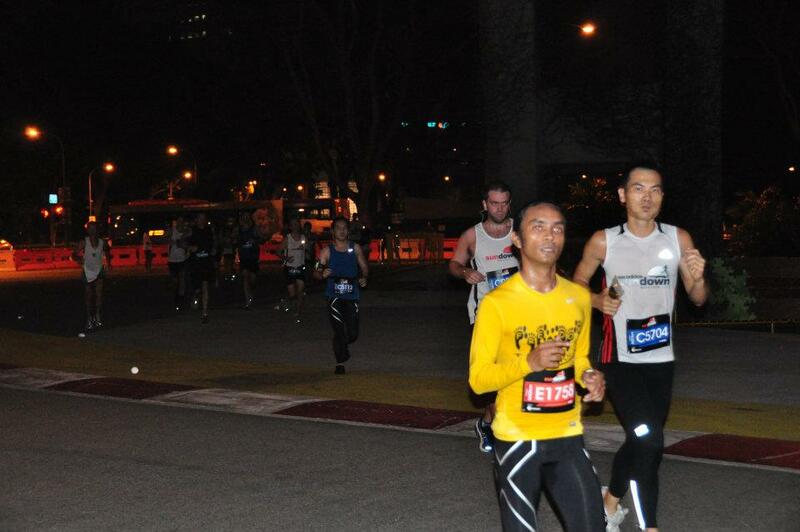 reminded myself of the targeted time that I should meet at the 15, 21, and 30km mark to achieve that 4hr 30mins. On the 27km mark, I was slowing down tremendously. The weather didn’t help at all. It was pouring. However, the will in me pushed me hard, and I managed to build up the momentum again. 4hrs 25mins. The best timing thus far. 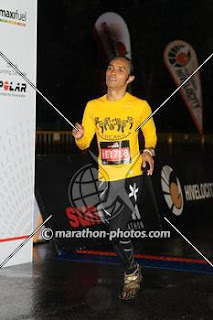 Running for a cause is indeed easier. I remembered Adam telling me this. Thanks Adam, the Freaks, and all who were there to support the runners. SCSM in December. Get the engine to start soon! 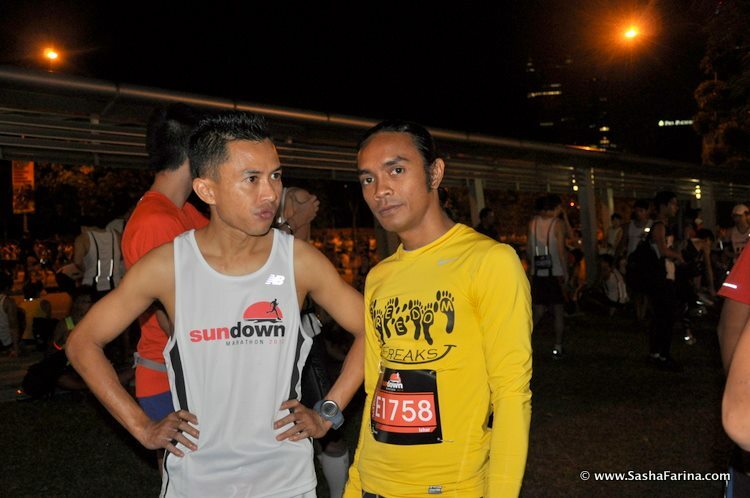 Words from Izhar aka S'pore Ponytail Runner. Pics credit to Asree, Sasha Farina and Defcom's Run Shoot.